The Scrolling Parallax plugin is also very versatile. There are a wide variety of options including scrolling faster, slower, looping and reversing the animation and tiling the background to name a few. Addtionally you can attach the parallax to any piece of markup, as well as pass an image path as described above. This would stretch the background width to 200% of the screen size, and enable the parallax to work on horizontal as well as vertical scrolling. This will attach the Scrolling Parallax to any divs with the class 'parallax-div'. For best results assign these divs a CSS position of fixed since that is what the plugin uses. Here we've passed two arguments to the parallax. The first changes the parallax speed to three times the scrolling speed and the second causes the parallax to loop when it scrolls too far. This will create a fast moving, looping animation when the user scrolls. This moves at a rate of .2 times the scroll speed, or a fifth of the rate. Conversely if you want the parallax to scroll faster than the page, just set this above 1. One advantage of not setting the static speed is that the plugin automatically determines a speed that wont let the parallax go past its boundaries. However when using staticSpeed, you are provided with a number of options. By default, staticSpeed creates a parallax that stops and anchors the object when it scrolls too far. However, you can remove this and let the object scroll off by setting staticScrollLimit to false. Additionally you can set the parallax animation to loop back to the beginning. See a full list of options in the Scrolling Parallax Documentation. In addition to its many animation options, the Scrolling Parallax Plugin allows easy control over a variety of layout options. However all of these options concern only parallaxes that use the image path method, since the on-page styling is respected when using the parallax on an existing piece of HTML markup. By default the Scrolling Parallax appends images with a height of 150% the window size and a width of 100%. If horizontal scrolling is enabled, the image width is boosted to 150%. However any of these can easily be changed by setting the options. While the majority of bugs have been ironed out, there are still some unresolved issues with the Scrolling Parallax Plugin. One main issue is that the plugin does not work properly in IE6. IE6 was supported before a number of features were added, so an IE6 solution shouldn't be far off. However even then the IE6 solution will probably be rather choppy. The parallax effect is just too much for IE6's tiny brain :-). Occasionally performance issues can come up in other browsers as well. Although the scrolling parallax operation has been performance tuned, some choppiness can occur when scrolling quickly on older computers. Additionally, some browser/OS implementations of mouse wheel scrolling can cause the parallax to jump a bit. This is unavoidable in browsers that treat the mouse wheel scroll as a single large jump rather than a series of small jumps. The plugin uses animation to soften the jump, however it has to be done quickly so the scrolling animation doesn't lag behind the page. Finally there is an unresolved issue regarding the looping of animation. Instead of a smooth loop using tiled images, the loop jumps from the end back to the top. Fortunately I have a fix in mind that will also make it easy to provide an option to tile the background image at any stretched dimensions. This entry was posted on Tuesday, June 2nd, 2009 at 9:55 am	in the category webdev. The issues you’re experiencing in Firefox may be one of two things. The first is that Firefox’s scrollwheel implementation jumps down the page in fairly large increments. Any jitteriness from this is unavoidable, but try using the scrollbars on the side to see if it’s smooth. Other than that, as I mentioned in the ‘known issues’ section, this plugin is a bit resource heavy and can run slow on older computers when scrolling quickly or using multiple parallaxes at once. I believe the plugin is fairly optimized for performance, for instance I’ve predefined all the objects and variables that I can and it’s pretty object oriented with no extraneous methods used. Yes! Cool plugin, once again! keep up the great work. Awesome plugin,any chance it will work with the jquery scrollTo function? I have a page with links which scroll to certain points in the page smoothly using the scrollTo plugin. I would love to be able to add a paralax effect to it as-well. The page scrolls horizontally by the way. Hi Alchemyst, I think it should just work with the scrollTo function, have you made sure to enable horizontal scrolling in the Scrolling Parallax options? This is what my site needed !!! thanks! I love the plugin but it isn’t working for google chrome, which is so odd. Let me know if you’re also having this issue (I’m aware that Chrome is in beta but a lot of my associates are using it and I wondered if you had made a fix. Thank you for your time and your plugin :-). I believe i will use it someday. Is there a way to have the same effect with a div instead of an image in all browsers? When i use a div, it works in firefox but doesn’t in any other browser. It appears that this sort of code, like Dom called out, isn’t something I can implement using a div tag. Is that true? Some parts of my code seems to disappear behind background image with this plugin (Eg. h1 title of my webpage or images: http://vivianroldo.fr/SatoornV2)… I don’t know why. Suggestions? Love it! I am having one problem though; centering the images. I have an image in its original size, not repeating – and I want it centered. I’ve tried putting it in a CSS div, but I think I’m doing something wrong. I’m trying to make a quick demo page to pitch how cool this would be to use for a project, but I’ve run into a big issue using it in combination with a jQuery anchor slider. When you click on anchor link 1 or 2, everything moves smoothly, but if you click on 3 where the div has to move quickly it gets hung-up at the top of the page. Do you know if there is any way to fix this or is it a known issue? I really appreciate the help! @Andrew Having the same problem! Everything I try just falls flat… any help? I have hunted far and wide across the internet for another vertical parallax tut, and have not really found one. Everyone else who commented understands what you are talking about here: I don’t get “then call the scrolling parallax with the path to your image”, and i don’t understand where i am supposed to put the piece of code in that follows it. I download the .js file, and though maybe it should go in there … hmmm? Any clarity on the above would be appreciated. Yeah, very useful. Is there a way we could change the z-index property? Is there anyway to position the the image for example, giving it a top and left of 200px? If not, is there an easy to stop the div version from being fixed position? I’m pretty new with this stuff so I’ll apologize first hand for my ignorance.. but I’m wondering whether it’s possible to add z-index to the images in the “Multiple, layered parallaxes for a nice depth effect” example; I’d like to add some text content in between layers. Thank you! Nevermind, I was able to get it! Added z-index to an id, tagged to an img. So excited! Thanks a lot! Is it possible to set the Z-index of the image when it’s being used as the ‘background’ to a page? It works ok and appears as the background in screen view, but when you go to print the page it plonks itself on top of the content obscuring all from sight. I got right of the bit of js that makes it display block, and I made the js give the image a class name. Then in my normal bit of my stylesheet I just told that to give the block style to the class name, and in the print part of my stylesheet to tell it to not display (although I guess I could have just told this to push its Z down). Anyone successfully used this to animate an image on a horizontal axis while the user scrolls on the vertical, essentially making images enter from the sides and move across the screen as the page itself scrolls down? I’m looking to make an element move horizontally when the user scrolls vertically. Anyone extend this plugin to allow this? To center the background image i added an id in the .js in line 185 to the two -parts (for example ) and set the background-position for #parabg in my css. I have block (div) width:600px height: 275px and body height more 2000 px. This plugin dont work. If I change div height to a larger (700px), plugin work. Why? Thanks for the great plugin Jon! you have got to be joking! a query plugin for parallax scrolling???? I like the plugin a lot but it doesn’t seem to work properly in Google Chrome or IE9. 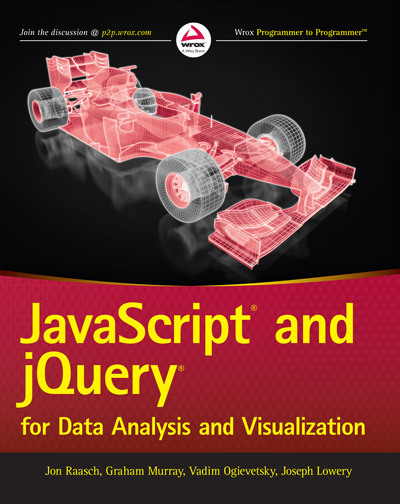 I am using it on jQuery objects. Works fine in Firefox but not in Chrome or IE9. Chrome doesn’t throw any errors but it’s not working either. If you have any suggestions it would help a lot! I did some debugging and found that Chrome and IE9 return ‘auto’ for $(box).css(‘top’) if it is not specified in css. This makes parseInt($box.css(‘top’)) return NaN rendering startingPos kind of useless. Maybe this helps when making Scrolling Parallax compatible with newer browsers. I’m currently working on website utilizing your fantastic plugin, but i’m having trouble implementing scrolling parallax on jquery objects. The only effect that occurs to the ‘div’ is “position:static;” with no movement. I’ve checked my code multiple times and included “position:fixed.” Are their any currently known issues? Anything you can point me to? Thanks! Hi, I had the same idea! I guess great minds think alike. Your script is way better than my few lines of code. Not sure if it’s possible to make them work together tho.. I love your plugin and its easy handling. What I was struggling with, was displaying the backgrpund image without stretching. Depending on the screen resolution I added these lines . in this example I tested it with 2 different resolutions. So maybe someone out there can code it better, to cover all ratios and screen resolutions. hello, how can i put the image inside a container? i wanted to position it relative to that container. not the whole body. why is there not example code for insertion into html. I can’t get to work. nor there isn’t example on how to call some CSS class if it’s not in the div? The examples while being viewed using tablet are unsuccessful is this a bug? How can you center the images rather than have them stretch? Nice plugin, but I have small problem with it. I tried to put all my scrolling objects outside viewport with “bottom: -5px” (the items are max 5px high) but when I add speed to the options, my scrolling items receive a “top” attribute and are positioned wrong. My problem is, that the background image jumps down a few pics when start scrolling… any ideas? I hope Im not too late to the party. But my question is.. Is it possible to set a final fixed position for your div and have it scroll in to place and stay there allowing it to then scroll out of view as normal along with the rest of the page content. Delicious plugin, big thanks Jon! Works absolutely fine.